with it & then write her. You will like the pictures of which I speak in my letter to George. They are very good, I think. Might send one or two to grandma & any others of the tribe you care to. Things continue to go well apart from the slight difficulties I told George about. Will get straightened around on them very soon. 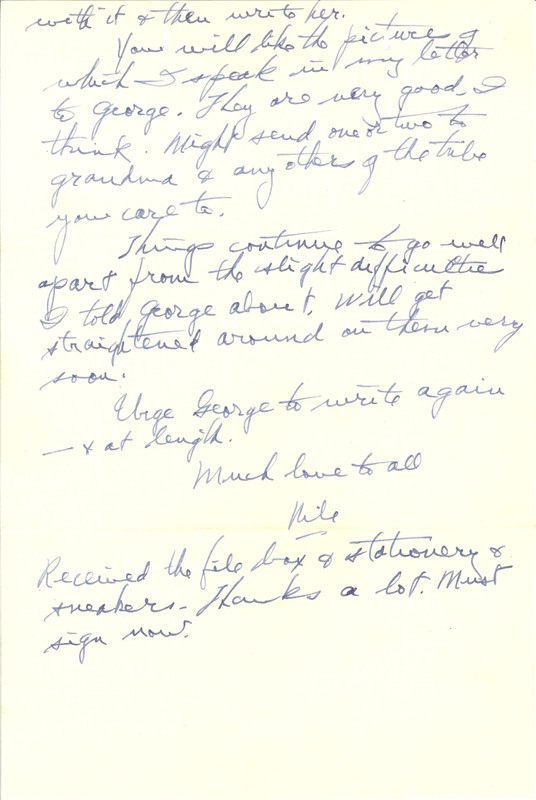 Urge George to write again--& at length. Much love to all Nile Received the file box & stationery & sneakers. Thanks a lot. Must sign now.